Categories FREE: 4. Extra categories cost an additional $ 0.00 each. Be seen! Maximum of 20 categories allowed. 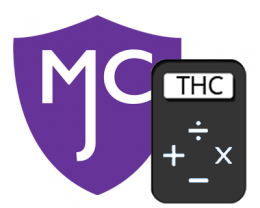 Strap a Game Genie to any of your Cannabusiness Websites by adding our interactive Marijuana Drug Test Calculator API. Through the use of data twinning, you'll be able to generate detailed reports of potential customers that have an interest in your product at the click of a button. Be prepared to take your e-mail marketing strategies to the next level! NOT INTERESTED IN THE ANNUAL DISCOUNT? No worries! You still have access to the calculator API and can build a massive competitive advantage at the no-contract, monthly Professional rate of $50!